Come see the Livingston Symphony Orchestra as we present our annual Family concert! 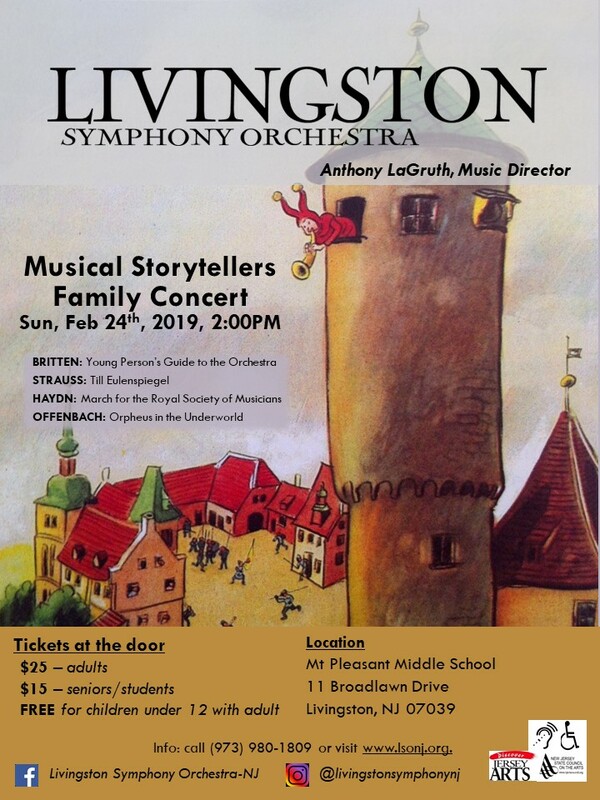 This years concert will take place Sunday February 24th, 2:00PM, at the Mt. Pleasant Middle School Auditorium. It will be a fun and educational program for all. We hope you can attend! Please see the concert flyers below for details.